Who says you have to hire Michigan DJ the traditional way? Encore and all of guests surprised Ernie with party at Dom Polski Bar for the Wyandotte Retirement Party that he had no idea about. It turns out that he thought he was going to someone else s party that night. His wife made up the entire story and they even got their friends in on the gag. I heard they went as far as creating fake invites for someone else party. Once he walked through the doors, everybody yelled “SURPRISE”! He was completely surprised. I mean, who else would go through all the trouble of creating fake invites to surprise someone? I know Ernie’s wife would! I thought it was such a coincidence, because we provided the DJ services for a wedding reception the week before over 2 hours away (Frankenmuth) that guests were at. They recognized us right off the bat and were surprised to see us for a second weekend in a row… what can I say, good word travels! I have never had that happen before. They noticed us first. 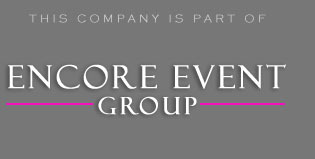 You can say that already knew what to expect with Encore Party DJs. The meal was done in the traditional buffet style. It is a lot easier for the staff, and guests just simply have to go up and through the line. The family members made some quick announcements over our wireless microphone while guests were eating. They were able to talk a little bit more about Ernie and how he is excited to start going to the gym more, not that he was free time. Ernie was able to thank everyone for the pleasant surprise. He had no clue that he was going to his own party! Once this was done, we opened the dance floor. Our music song list consisted of majority classic rock and oldies. We threw in some funk sets, since Ernie was a big fan of the 1970s. It was an awesome time, I can recall my favorite part of the night. We did a mix and came out of it with Rednex Cotton Eyed Joe. We setup the song by having guys stand on one side of the dance floor, and ladies stand on the other. We instructed them, once we started the music, they would meet their partner in the middle, lock arms, and spin around. After this they would go back to the ends of their lines.